Nicole Lawrence Ezer focuses on immigration policies and planning and consulting for companies of all sizes. She is Board Certified in Immigration and Nationality Law by the Texas Board of Legal Specialization. Nicole develops, implements and updates immigration policies for multinational corporations. B-1/OCS issues, including Coast Guard exemptions for individuals and for vessels, national interest waivers, multinational managers, outstanding researchers, extraordinary ability relinquishment of legal permanent residence, and short and long term immigration strategies for foreign national employees and family members. She has experience accompanying clients to the United States consulate in Mexico to apply for employment based visas, as well as experience working with A-Visa holders and work site enforcement matters. Nicole has practiced in the areas of family-based immigration, naturalization and asylum and to participate in activities that provide education to industries and communities regarding immigration issues. Her most recent article, “The intersection of immigration and Family Law” appears in the Fall 2006 ABA Family Law Quarterly, and the ABA’s GP Solo Publication’s “The Best Articles Published by the ABA” in September 2007. 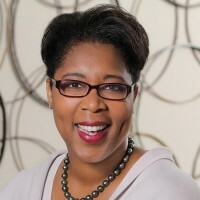 She is a frequent speaker before industry, HR groups and for attorney CLE activities, and is a 2002 Graduate of the Center for Houston’s Future Leadership Forum. Nicole has also served as an adjunct professor at the University of Houston Law Center, teaching “Business Immigration Basics”. She has also published “Immigration Policy is a Must”, in the Houston Business Journal In January 2006 and “Keep an Eye on Hiring Practices to Avoid problem with a DHS” in the HBJ Business Survival Guide in April 2007. You may contact Nicole Lawrence Ezer directly at ezernl@ezerlawgroup.com. Contacting Nicole Lawrence Ezer directly does not establish an attorney client relationship. Please be advised that no information or documentation should be attached to any introductory emails to Ms. Ezer.